I just love the photo below. I don’t mean to brag. It just looks so inviting, comforting, nourishing. Like home. This dish was very tasty. The only change I would make is to add about 8 ounces of sauteed mushrooms. And maybe some onions. It could be a main dish with a small salad or a side dish. I reheated the leftovers and served it with Easter morning’s Eggs Benedict. Preheat oven to 350 degrees. In a cast iron skillet, heat the oil. Add the bacon and cook until getting a touch crispy. Add the kale, salt and pepper. Toss to coat the kale in the grease and allow to wilt. In a large bowl, whisk together red pepper flakes, eggs, milk, pepper to taste, and the rosemary. Add the bread cubes; toss to evenly coat. Add the kale, bacon, 1/2 cup of parmesan, and 1/3 cup of asiago. Toss again and be sure everything is even distributed. Transfer the contents of the bowl into the cast iron skillet. Spread out evenly. Top with the remaining parmesan and more salt/pepper if you desire. Bake for 40 minutes until the top layer of bread is beginning to brown and the egg is set. 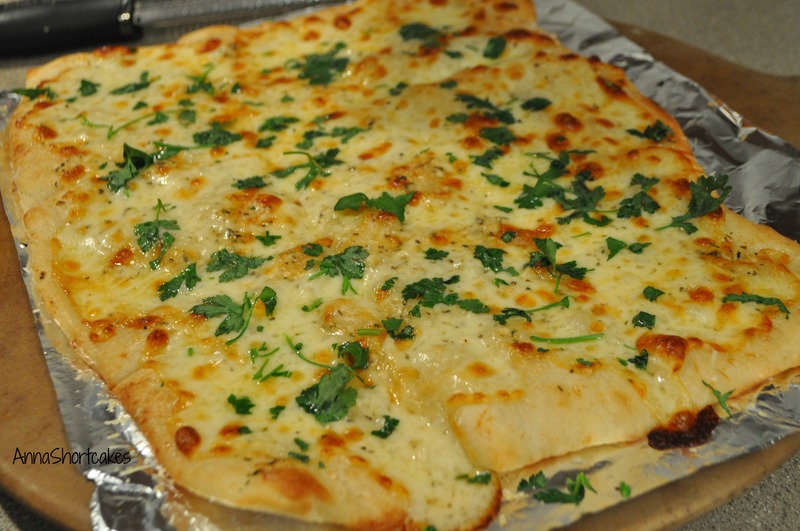 Top with additional parmesan. Serves 6 to 8. One of my favorite seasonal vegetables is Vidalia onions. The official vegetable of Georgia, these sweet onions are trademarked and production is limited to a legally specified area. Who knew?! I guess when you’ve got something good, you have to protect it. 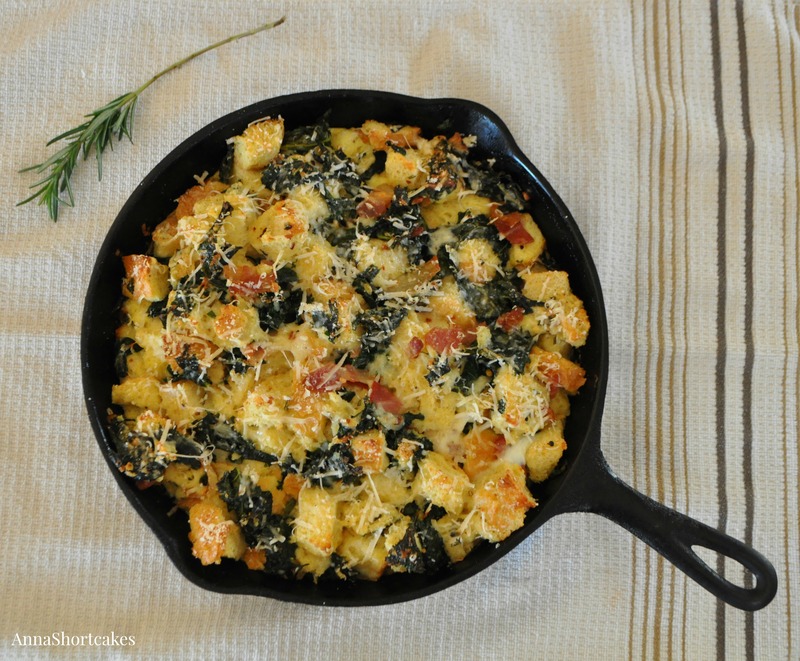 This delicious dish is worth protecting too…. from people who don’t recognize it’s deliciousness! I served it with a version of Fish Chowder, using new potatoes, shrimp, and fish. Thinly slice the onions into half-moons. Heat the oil in a large skillet over medium heat. Add the sliced onions, the leaves from 3 thyme sprigs, and salt. Stir to coat the onions. Sauté, stirring frequently, until the onions are soft and caramel brown, being careful not to scorch the onions. Allow to cool slightly. Preheat the oven to 350°. Grease a 9 – inch pan (I used a springform pan). 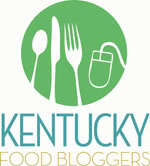 Place the flour, baking powder, baking soda, salt and the leaves from 2 – 3 thyme sprigs in the bowl of a food processor. Pulse a few times to combine. Drop in the butter cubes and pulse several times until the mixture is grainy. Pinch a bit of the flour between your fingers and it should stick together. Dump in the buttermilk, then process until everything is combined. It will be a wet dough that won’t come together in a ball. Scrape the batter into the prepared dish and press it out to fill the dish. Wet your fingers to help keep the dough from sticking to them. In a small bowl, mix the sour cream and egg. Add the leaves from a few more sprigs of thyme and a few good grindings of pepper. Stir on the onions, making sure the mixture is evenly combined. Pour the mixture over the dough and spread evenly. Bake the shortcake for 25 – 30 minutes, until the edges are browned and pull slightly away from the edges of the pan. The sour cream filling should be set and browned. Serve the shortcake warm or at room temperature. Refrigerate leftovers. I was introduced to King Cake last year by my friend Lynne, a LA native. A yeast bread cake with a flavor similar to homemade cinnamon rolls, this dessert is best recognized by it’s beautiful coating of gold, green, and purple sugars. Hidden inside the delicious layers is the baby trinket. If you get the slice containing the baby, you are King or Queen of the day, obligating you to bring next year’s cake. For more history of the King Cake, see here. This was my first attempt at the king cake. Next year, I’ll probably do a couple of things differently. I think I overworked the dough because it was denser than I had hoped. 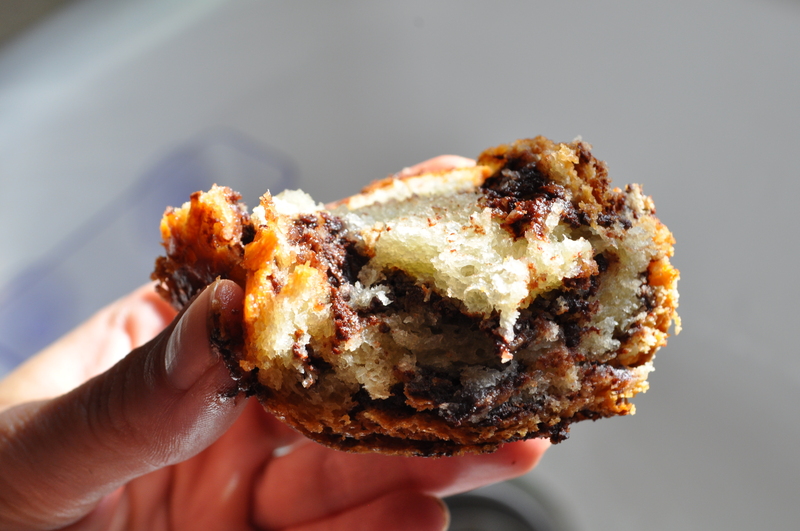 I also would use a thicker filling than the one used in this recipe. Overall though, this recipe was very tasty and my co-workers had no problem eating the whole thing. In a small bowl, add warm water, yeast and 2 tsp of sugar. Set aside for 10 minutes and allow to proof. The yeast will bubble and nearly double in size. Combine 4 1/2 cups flour, 1/2 c sugar, nutmeg, cinnamon, and salt in a large mixing bowl. Stir in the lemon zest. Make a well in the center and pour in the yeast mixture and warm milk. Add the eggs, egg yolks, and butter, gradually combining the dry ingredients with the wet ingredients. A soft ball will form. Place ball on a floured surface and incorporate more flour if needed. Knead until smooth and elastic. Brush the inside of a large bowl with 1 tbsp softened butter. Set dough in bowl and turn to coat with butter. Cover bowl and set aside for 1 1/2 to 2 hours, or until doubled in volume. While the dough is rising, combine the filling ingredients and mix until smooth. When dough is doubled in size, roll the dough out in a 30 inch x 9 inch rectangle on a well floured surface. The dough will be thin. Spread filling in a thin line down the 30” length of the dough, keeping the filling away from the edges. Fold the edge over the filling, then slowly roll the dough into a cylinder, like rolling a jelly roll. Place on baking sheet to form a ring, pinching ends together. Cover and set aside to rise again, about 45 min. Preheat oven to 375 degrees. Bake cake on a rack placed in the middle of the oven for 25-30 minutes, or until golden brown. Cool cake to room temperature on a wire rack. Hide the baby, bean, nut, or coin into the cake (through the bottom). For the icing, mix the powdered sugar and vanilla together. Add milk, a small amount at a time, until icing is smooth. Drizzle over cooled King Cake using a fork or your fingers. For the colored sugars, either mix in separate bowls or shake and knead in plastic bags. Add 3-4 drops of yellow food coloring to the sugar and mix to coat all of the sugar. Repeat with green food coloring. For purple, red and blue food coloring can be used but purple colored paste will give a richer color. 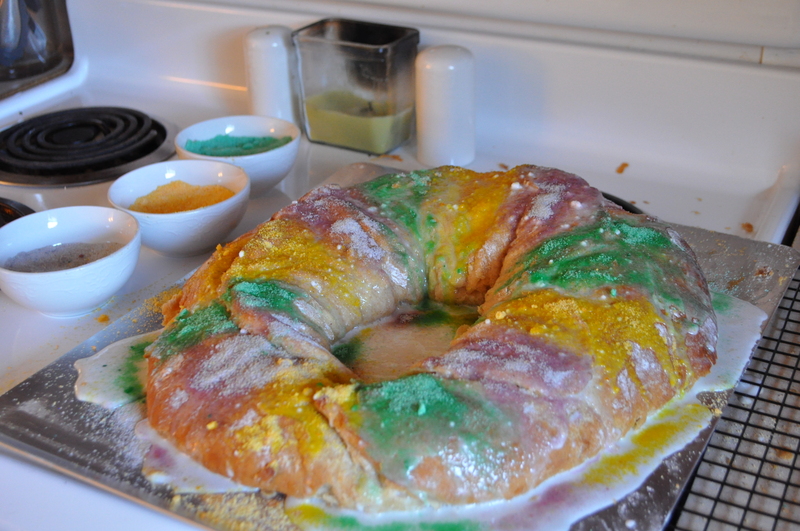 Sprinkle the sugars over the King Cake while the icing is still wet. Sprinkle in alternating colors, purple, green, and yellow, in rows about 2-3 inches wide. One of my favorite people in the world – Ms. Claire – is my buddy in exploring the local restaurants of Richmond. So far we have tried Babylon Gyros, Purdy’s Coffee Company, and The Big Easy (Cajun themed!). At The Big Easy, we shared a serving of their bread pudding with caramel sauce. I had never been interested in trying bread pudding before this lunch. Boy was I wrong!! It was delicious! Since then I have been wanting to make my own at home. I added bourbon to this caramel sauce to make it even more delectable and smack of Southern charm. Preheat oven to 350 degrees. Toss bread cubes with butter in a bowl and set aside. Whisk together the rest of the ingredients in another bowl and pour over the bread. Coat the bread well with the mixture. Refrigerate for 30 minutes to allow the bread to absorb the liquids. Transfer into a greased glass 8 inch baking dish. Bake for 30 to 35 minutes. While the pudding is baking, place the caramels and milk in a microwave safe bowl. Microwave 30 seconds at a time, stirring in between each time. When all the caramels are melted smooth, stir in the bourbon. 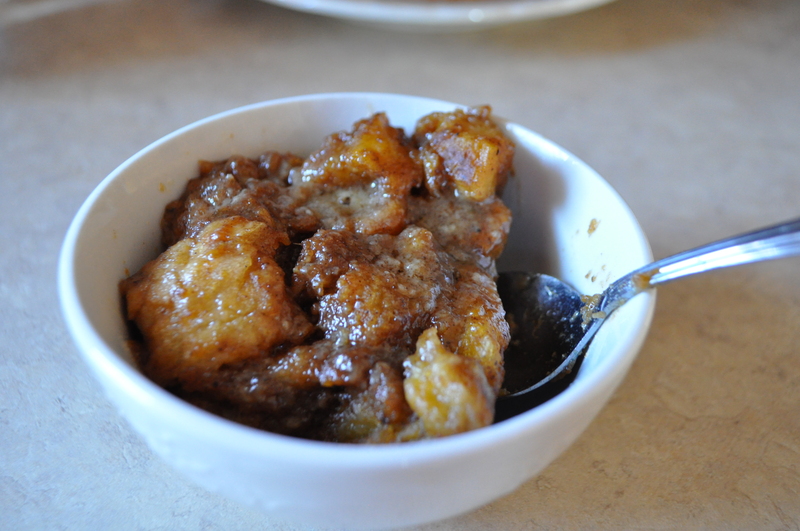 Spoon the caramel sauce over the baked bread pudding. Serve warm. 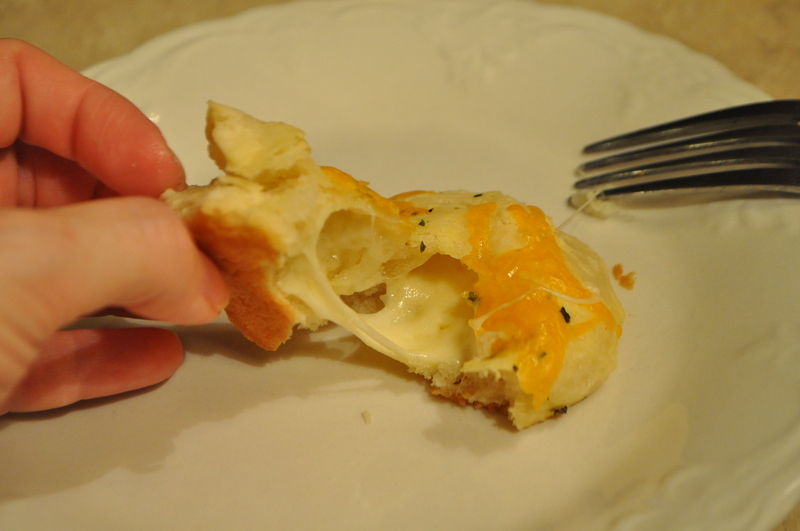 Bread and cheese are two of the best things in the food world. Combined them together and you have perfection. Preheat your oven to 375 degrees. Mix together the yeast and water and let it sit for a couple minutes to proof. In your mixer bowl, combine the sugar, garlic powder, melted butter, and oil. Add the flour a little and a time, mixing in your stand mixer with a dough hook. Add the salt. Knead for 10 minutes, in the stand mixer. Let the dough rise in a greased bowl for 30 minutes. Turn the dough onto a floured counter top and kneed until smooth and not too sticky, about 5 times. Divide the dough into 15 to 20 pieces, depending on how large you want the buns. Place a chunk of cheese in the center of each one, making sure to pinch the edges together to completely cover the cheese. Place seam side down onto a greased baking sheet. 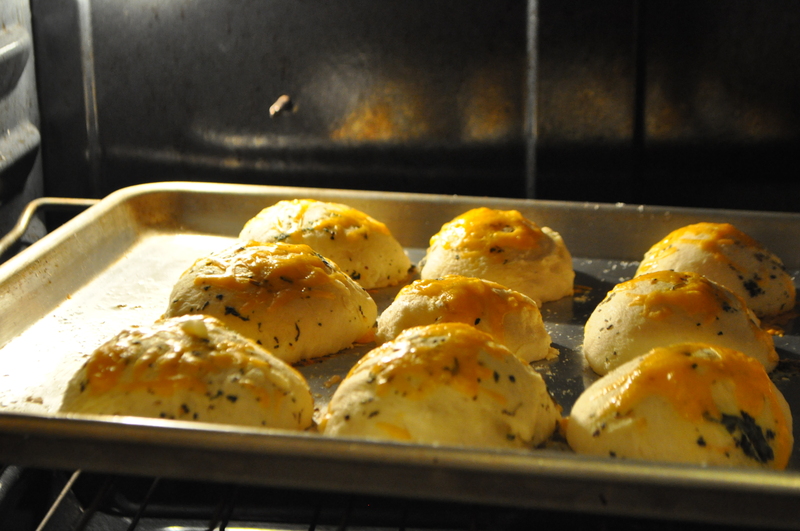 Sprinkle the buns with more cheese and top with some melted garlic herb butter. Bake for 25 minutes or until golden brown. Makes approx 20 buns. 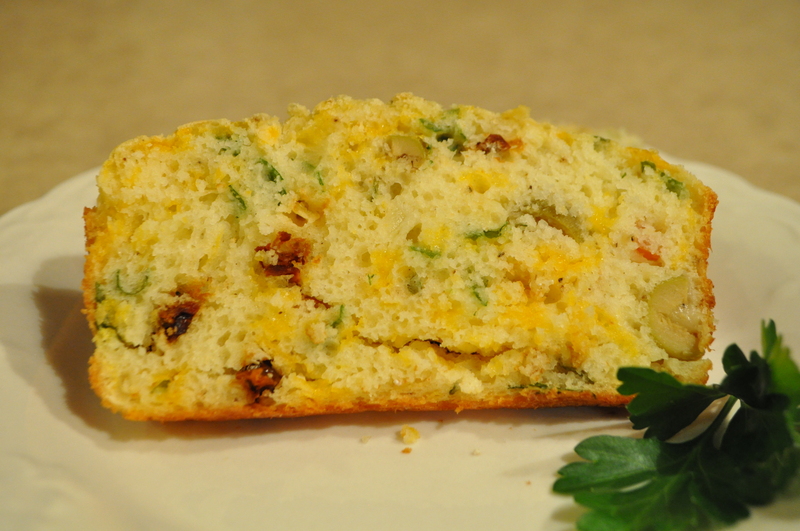 Here is a quick savory bread that was a hit at work. 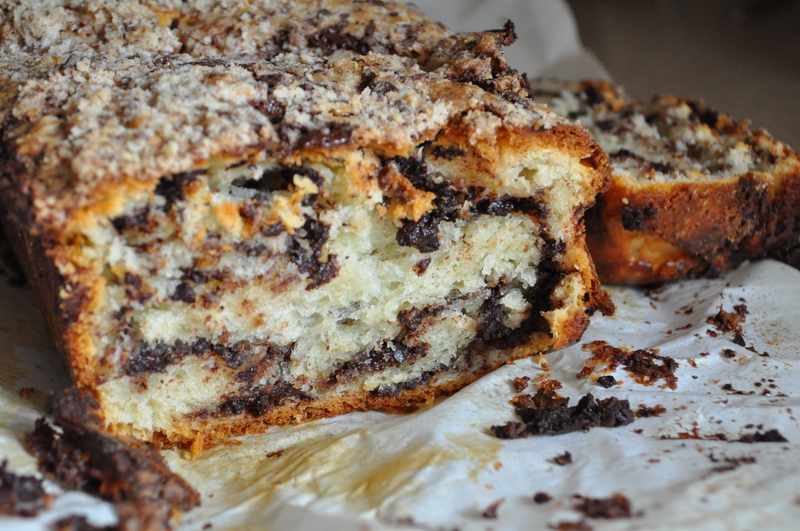 If you like this bread, you might also enjoy this recipe for Dilly Bread. I served it with the Healthy Chicken Parmesan. Preheat oven to 350 degrees. Grease loaf pan well. Mix together flour, baking powder, soda, salt, pepper and mustard powder into a large bowl. Add cheeses, olives, sundried tomatoes, onion, parsley and thyme and mix well. Whisk together edds, oil and buttermilk until well combined. Pour wet ingredients into dry ingredients and stir together, forming a thick batter. Scrape dough into greased pan. Bake for 40 – 45 minutes or until a fine skewer inserted in the middle of the loaf comes out clean. When done, let loaf rest in pan for 5 minutes before letting cool on a wire rack. Serve with soft butter. Enjoy! One of my favorite bloggers is Anastasia of While Chasing Kids. She is an excellent cook and a fantastic photographer. If you don’t like the sound of the recipe, you will surely like the look of it. I have bookmarked so many of her recipes but this one caught my eye today. It seems like I go through runs of genres- a streak of grilling, of desserts, of side dishes, of cocktails. I am breaking the current streak of light and simple recipes with this amazing concoction. Easy it is not. At least not for me. I do not excel at baked goods, mostly because I haven’t had as much practice with this type of thing. Sometimes my yeast breads turn out looking like aliens. In a medium bowl, mix the yeast and a pinch of sugar with the milk and let stand for about 5 minutes, or until foamy. In another bowl, whisk together the remaining sugar and the egg. Whisk into the yeast mixture after it has proofed. In your mixer bowl, combine the flour and salt with the bread hook. Add the egg mixture and mix on low speed until almost fully combined. Add the butter. Mix until smooth, soft, and slightly sticky, about 8 to 10 minutes (I thought it would never happen!). Turn out the dough onto a floured surface and knead until smooth (be sure to flour your hands, mine was really soft/sticky). Place in a large greased bowl and cover with plastic wrap. Let stand in a warm place until doubled in size, for about 1 – 1.5 hours. 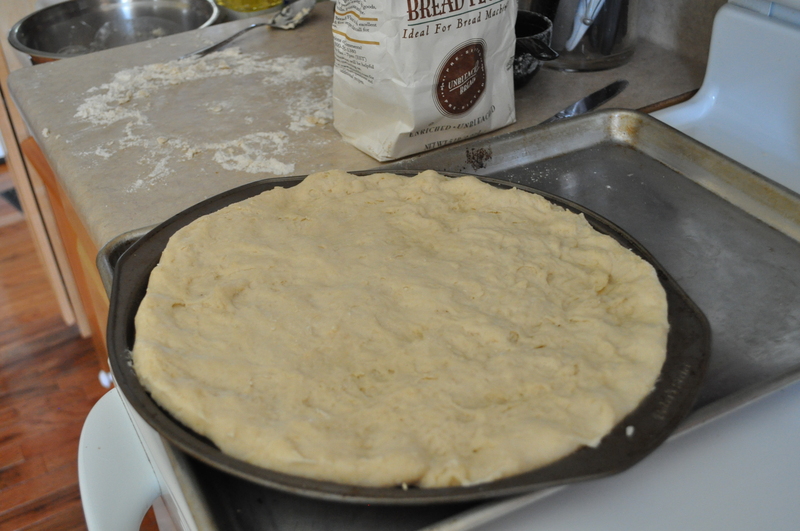 Once the dough has doubled in size, place it back on the flour surface. Let rest for 5 minutes and then roll it out into an 18-inch square. Whisk the egg and milk together to make the egg wash. Sprinkle all but ½ cup of the filling (see below for filling instructions) over the dough, leaving a 1-inch border. Brush the edges with the egg wash. Tightly roll the dough from one end to the other. Pinch the seams to seal. Fold in half and form a “U” shape. Twist two or three times to make a braid-like thing. Make sure to pinch the ends of braid together. Grease a 5-by-10-inch loaf pan. Line with parchment, leaving 1-inch overhangs then grease the parchment paper. Place the dough in the pan and brush with the remaining egg wash. In the food processor with large blade attachment grind chocolate and butter. Add salt, cinnamon, and sugar to the mixture. In a small bowl combine the confectioners’ sugar, flour, butter, and the reserved filling. 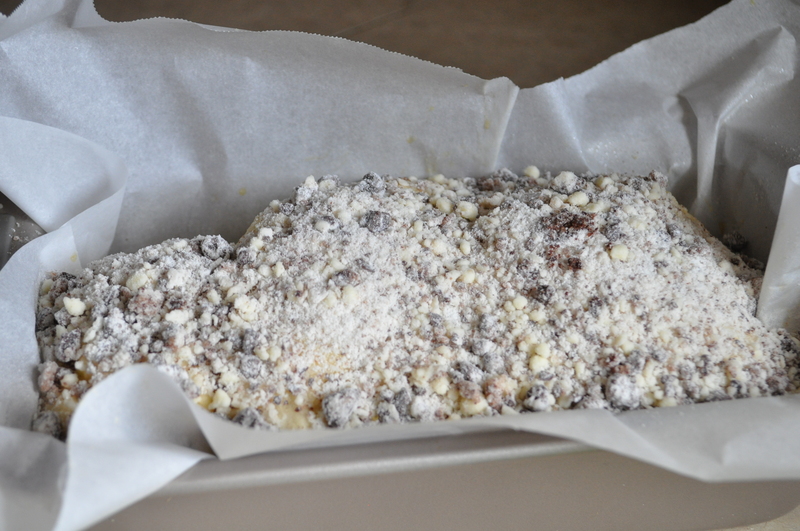 Sprinkle it over the twisted bread in it’s parchment paper home. Preheat the oven to 350⁰F. Cover the bread with plastic wrap and let rise for about 30 minutes. 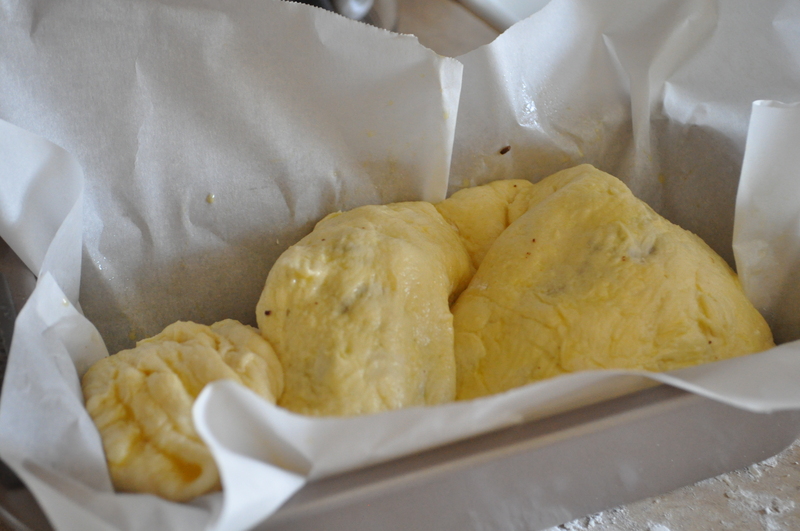 Place bread pan on a sheet and position it on the center rack in the oven. Bake for about 55 minutes. Reduce temperature to 325⁰F, and bake for another 10 to 15 minutes, or until golden brown. Cool the bread in the pan on a wire rack before removing it. You know you are jealous!!!! Thanks to NancyCreative for this really awesome recipe. 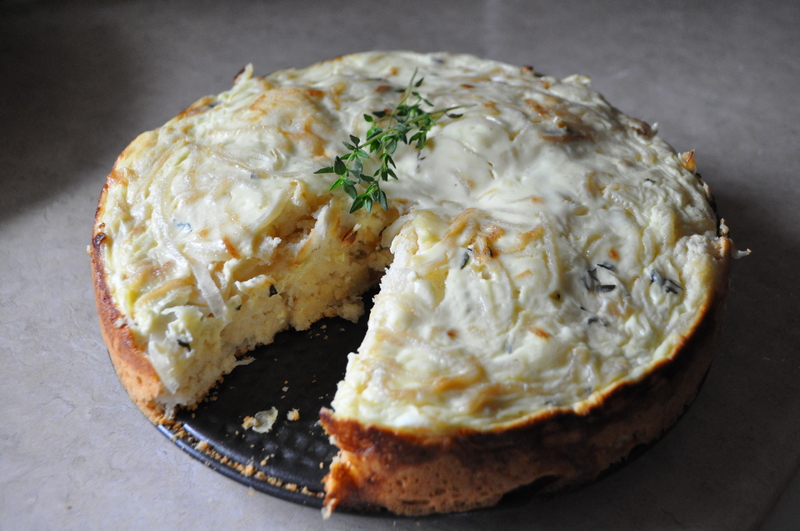 It is just in time for the summer zucchini season when you know you will soon be overwhelmed. 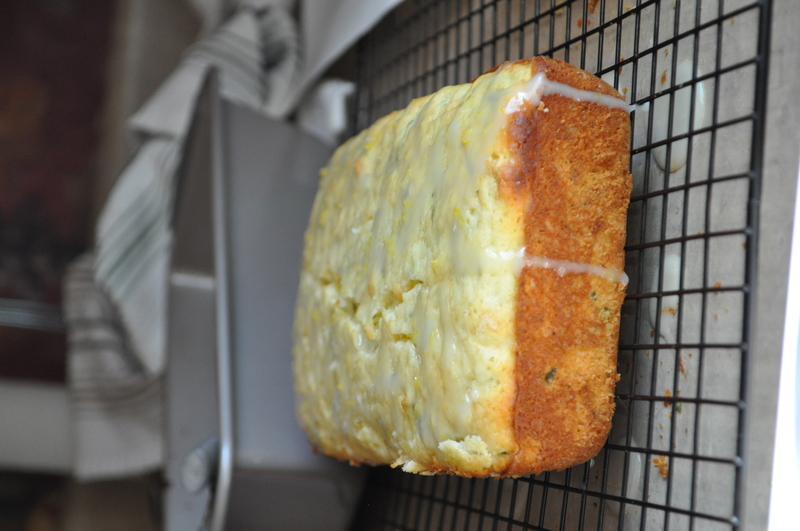 What is better than a quick dessert to use up those ever bearing zucchini. Preheat oven to 35o degrees. Grease and flour a 9×5″ loaf pan; set aside. In small bowl, mix powdered sugar and lemon juice until well blended. Spoon glaze over cooled loaf. Let glaze set, then serve.